I often hear friends complaining about the way in which new cars are made. The biggest gripe being that most modern cars have engines which consist primarily of sealed units. This essentially means that owners are no longer able to do their own repairs. However, there are still many things you can change out or repair in your own garage. Of course not everyone wants to get their hands dirty, so a lot of people simply buy the parts they need, and then they get a local mechanic to install them. Not only does this approach give you greater freedom, but it can also save you a considerable amount of money, particularly if you order your parts or accessories online using such Prime Choice Auto Parts reviews. Read on to find out more about this particular online distributor. Prime Choice Auto Parts – Who Are They? Having been in business for just over 30 years, the Company has grown to be one of America’s largest wholesale auto parts distributors. At any given time, they have more than one million auto parts stocked in their 100,000+ sq. ft. of warehouse space. According to the company’s official website, their goal is to make sure all customers get the exact parts they need, in the shortest possible time, and for the lowest possible prices. The company also states that all parts are manually inspected prior to being shipped out, and that their team of experienced auto parts specialists do everything they can in order to ensure that customers get the right parts, in perfect condition, every time. Whether you need brake shoes for your car; truck or rig, or whether you need more complex components, this is apparently the best place to shop. Apart from the fact that they carry such a massive amount of stock, the Company is also widely acknowledged as being one of the cheapest distributors around. Okay, so we have all the parts we could ever possibly need, and yes, we have some of the very best prices you could ever hope to find, but what are real life customers saying about this distributor? Everything that follows is based on information and opinions that I have harvested from an almost endless number of customer comments and reviews. What Are the Main Benefits of Doing Business with this Distributor? No matter what make or model your car or truck is, if you need parts for it, you can almost certainly find those parts listed on the Company’s website. Because the Company actually manufactures nearly all of the parts in stock, they are able to offer their parts at prices which are almost impossible to beat. In short, you get great prices because there are no middle men involved. Ordering parts is both easy and convenient. Simply type in the make and model of your vehicle, as well as the parts you are looking for. Choose what you want; proceed to check out, and then just relax and wait for them to be delivered. When you order from this Company, you are ordering from a Company which has been in business for over 30 years, and as we all know, experience counts for a lot these days. Always find what you are looking for – I have trawled through an almost endless number of reviews, and I can’t recall reading a single one where a customer has reported not being able to find the part or parts they were looking for. It seems as though this distributor well and truly does stock every conceivable part regardless of the make or model of your vehicle. Definitely a big “Plus” for anyone with limited time to spare. Great prices – I’m in no position to say whether or not this distributor has the lowest prices around, but based on the research I have done, it is clear that the overwhelming majority of their customers have been more than happy with the prices they paid for their auto parts. Convenience – The convenience of being able to buy all your auto parts under one roof is clearly a big hit for most customers. Helpful and knowledgeable customer support – A lot of the reviews I studied included reports relating to customer service, with many customers obviously being very happy with the help and support they received. Customer support representatives seem to be well trained for the job they do, and appear to be very eager to help customers. Can’t physically inspect parts before ordering – This applies to all online purchases. If you aren’t buying a well known brand name product, you are essentially at the mercy of a picture and a description. This is one of the main reasons why you should only purchase goods from well established vendors. 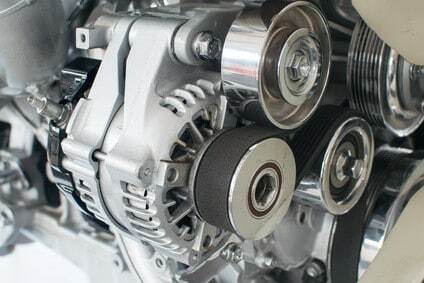 Risk of receiving wrong parts – A few customers have reported receiving the wrong parts, and as a result, they have had to return them and then wait for the right parts to arrive. In all fairness, these reports appear to be few and far between. Unresponsive customer service – A number of customers have complained about poor customer support. However, I have studied many reviews, and most customers have been very happy with this Company’s customer service department. All prices are listed in US dollars and vary from one product to the next. Prices are generally VERY competitive, and almost always considerably lower than you will find at regular brick and mortar stores. In addition to their already low prices, the Company frequently has special offers with very attractive discounts. All orders within the continental United States are shipped free of charge. All international orders are shipped via a third party shipping company, with shipping costs calculated according to the size and weight of your order. This Company is based in the United States, with a number of distribution centers located throughout the country. Shipping to international addresses is handled by Bongo International. Based on the huge amount of research I have done, I believe Prime Choice Auto Parts to be a good reputable auto parts distributor, and as such, I would recommend them. However, if you don’t live in the United States, then I would recommend trying to find a distributor closer to home because of international shipping costs. Also, I would advise all customers to make 100% sure that they provide their correct address. If goods are returned to the supplier due to a wrong address being given, the customer will be responsible for paying shipping fees in order to have the goods resent. Summary Whether you need brake shoes for your car; truck or rig, or whether you need more complex components, Prime Choice Auto Parts is apparently the best place to shop. Apart from the fact that they stock a massive One Million+ auto parts in their warehouse, the Company is also widely acknowledged as being one of the cheapest distributors around.